IPTLD patients usually do not lose their hair or suffer organ damage, since their immune systems are not pummeled. The conventional treatment for cancer is the familiar trio of surgery, radiation and chemotherapy. Oncologists are trained to apply a one-size-fits-all approach to the chemo, then send their patients home to cross their fingers and hope for the best. This is the American standard of care. Several studies have done what the average oncologist does not — they have looked at the genetic makeup of a cancer and discovered that, in many cases, the standard chemo cocktail does not kill the cancer cells. For example, a 2008 study of 5,354 women with early-stage breast cancer found that women who were HER2 negative derived absolutely no benefit from taking commonly prescribed chemo drugs. Since approximately 80 percent of breast cancers are HER2 negative, only 1 out of 5 women with breast cancer benefits from these drugs, which deliver a huge dose of toxicity. The medical community knows about nontoxic, targeted chemotherapeutic approaches that will not harm healthy cells or cause side effects. Although most oncologists do not make use of these approaches, there are fully licensed medical doctors in the United States who do. It makes sense to try directing the chemo drugs only to the cancer cells, avoiding the healthy cells. This can be done because cancer cells, unlike healthy cells, run exclusively on sugar. So we combine the chemo drugs with glucose to target the delivery. This process is so effective that we only need to use about one-tenth the amount of drugs used in conventional chemotherapy. This is called insulin potentiated therapy low-dose (IPTLD), and it has been used safely around the world for more than 70 years. Which drugs will be most effective and which natural therapies will work for you? When IPTLD is combined with a genetic test to determine the genetic makeup of the cancer, the door is opened to a much more effective treatment. A chemosensitivity test determines which agents will defeat your particular cancer. You may have heard that Suzanne Somers used Iscador, also called mistletoe, when she had cancer. The chemosensitivity test will show whether your cancer would be responsive to it. This is the cutting edge of cancer therapy. When an already poorly functioning immune system is subjected to radiation and bombarded with toxic drugs, it is almost impossible to deliver a “cure.” That is why long-term survival rates for cancer are so grim and why people lose their hair, suffer organ damage, develop mouth ulcers, etc. This is unnecessary today. 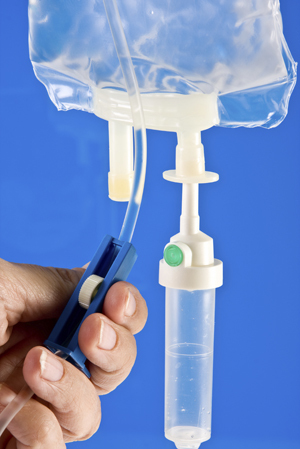 With IPTLD, chemotherapy is both gentler and more effective. IPTLD patients usually do not lose their hair or suffer organ damage, since their immune systems are not pummeled. In fact, most doctors who practice IPTLD use complementary therapies to nourish the body and strengthen the immune system. Most also educate patients about what causes cancer and how to prevent a recurrence. Martha Grout, M.D., M.D. (H), specializes in the reversal of chronic disease and uses IPTLD for cancer therapy at Arizona Center for Advanced Medicine. 480-240-2600 or www.ArizonaAdvancedMedicine.com.